Take over the space at Department of Caffeine is Ninja Bowl. 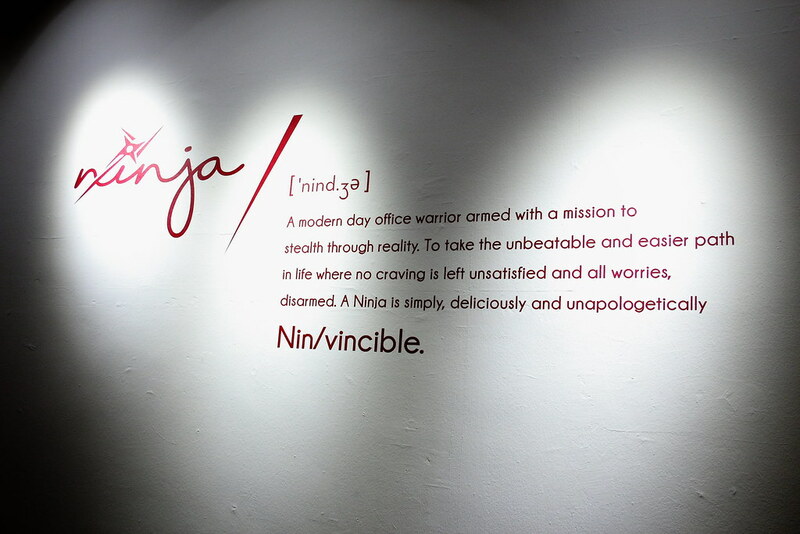 Ninja Bowl is opened by the same folks behind Chillax Cafe and Babette Restaurant & Bar. The restaurant offers diners an extensive menu filled with unique all day brunch options, sandwiches and hearty one bowl meals. Recently the weather in Singapore has been really hot. 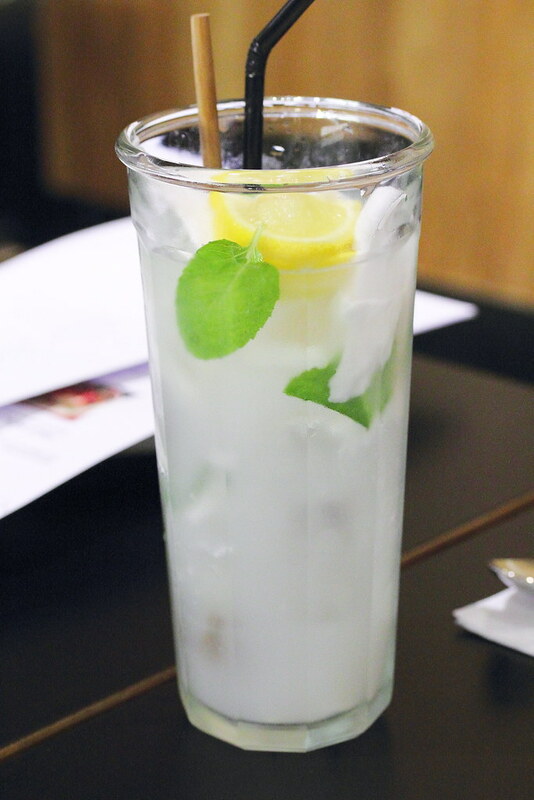 The Coconut Lemon Mint ($8) will be very refreshing and satisfying with its huge serving. It even comes with the coconut flesh. Furthermore coconut water supposes to have health benefit isn't it? 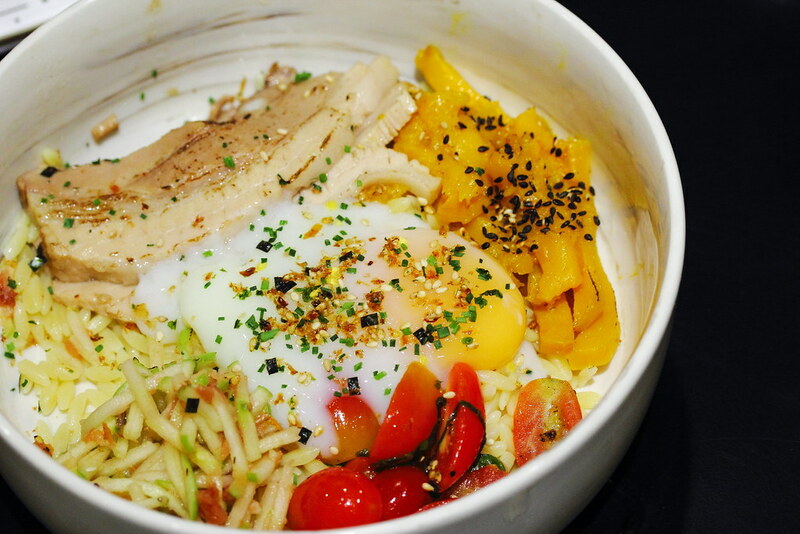 Ninja Bowl offers 8 different types of bowls on the menu. Basically these bowls are carb free and comes with default ingredient combinations. However diners have a choice to add on the ninja rice, orzo pasta, garden greens and white quinoa for an additional cost of $2 to $3. 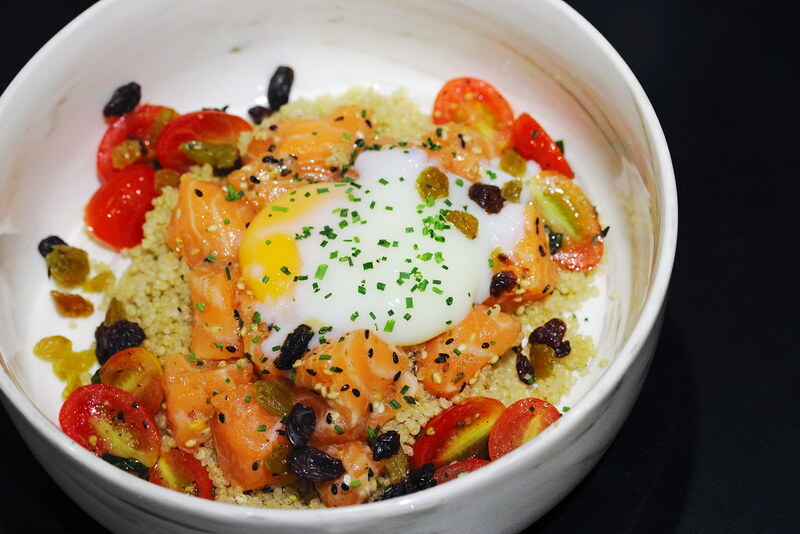 We started with the Yasai ($16) that comes with chunky salmon poke, mixed sultanas, tomatoes and onsen egg. We topped it with White Quinoa ($3) for a complete meal. A light and healthy Polynesian-inspired bowl. 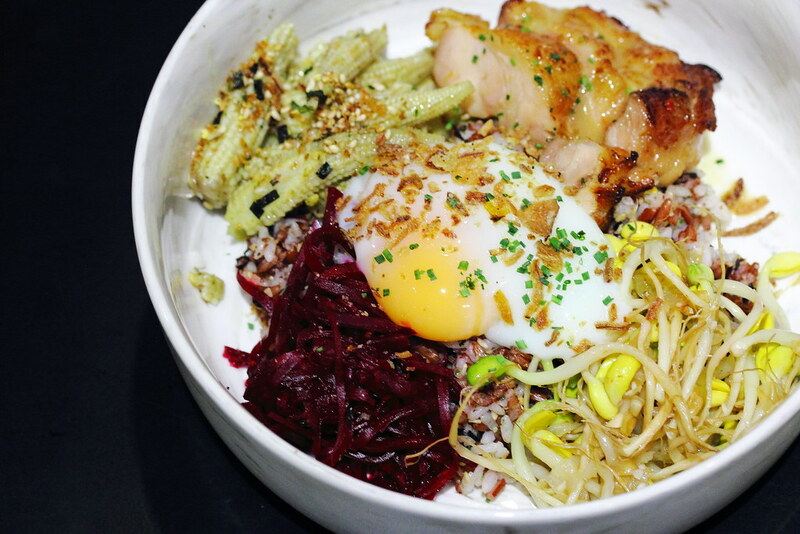 If you are one that cannot resist a delicious piece of pork belly, then the Buta ($14) is for you. 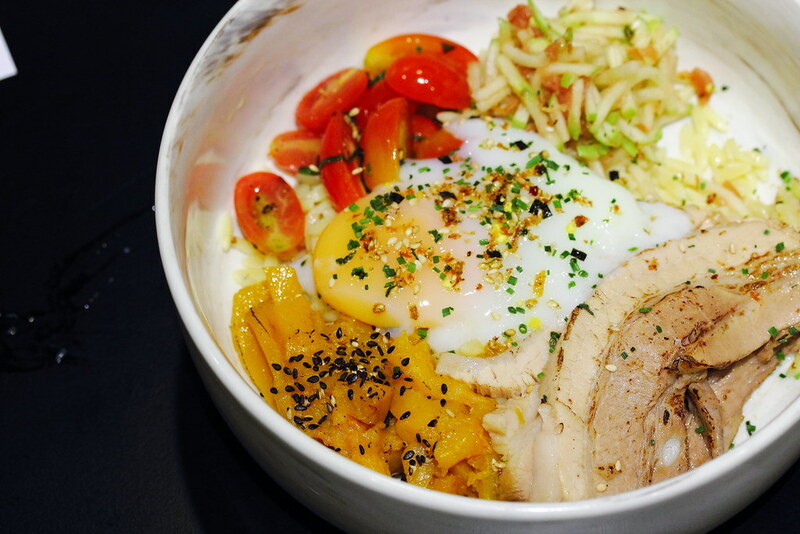 The bowl comes with Japanese aburi chashu, cherry tomatoes, onsen egg, roasted pumpkin, and ume-pickled apples. We added Orzo Pasta ($2), a rice shaped short cut pasta to round off the whole meal. 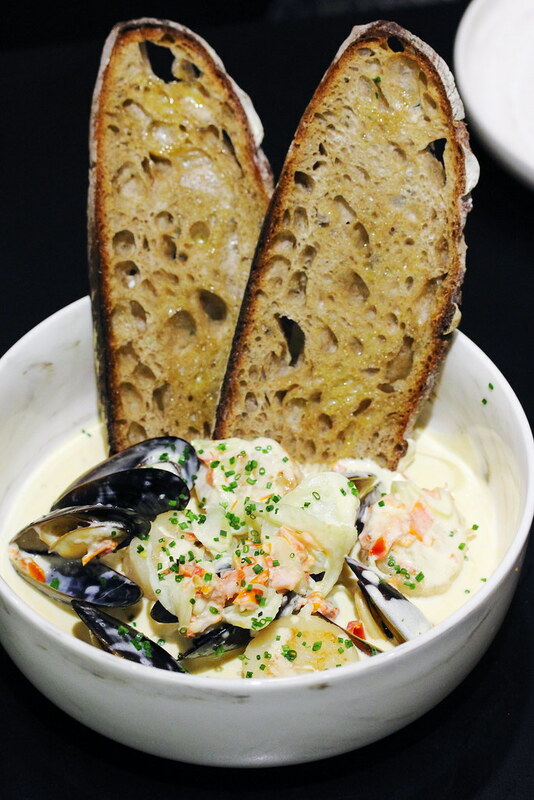 From the brunch menu, the Ebisu ($18) is a creamy stew that comes with pan seared hokkaido scallops, mussels and miso butter cream. It also comes with two slices of toast to soak up the delicious cream. I only wish there was more of the sauce. The Gyu & Tama ($17) comes with Ninja Bowl's signature 24 hour braised beef cheek that literally melted in the mouth. 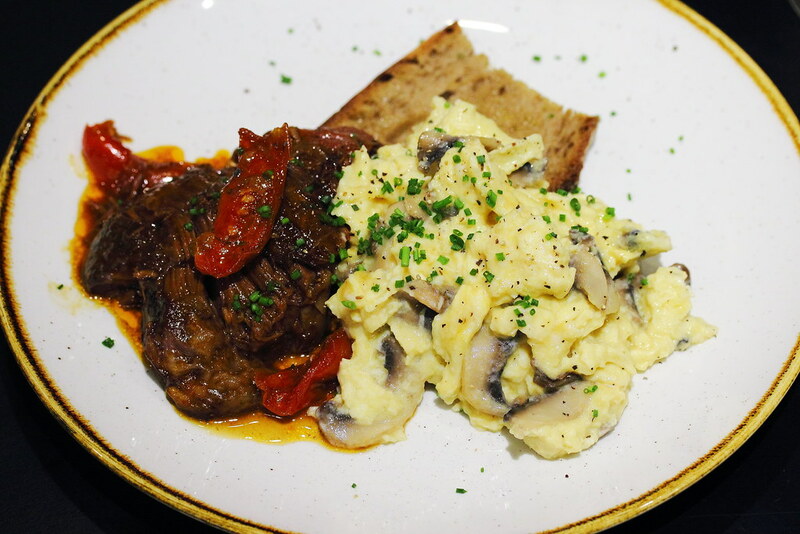 It is paried with a side of creamy scrambled eggs, mushrooms and toast. It is one of the better scrambled eggs I have eaten for a long while. Worth waiting for 20 minutes is the Fancy French ($16). 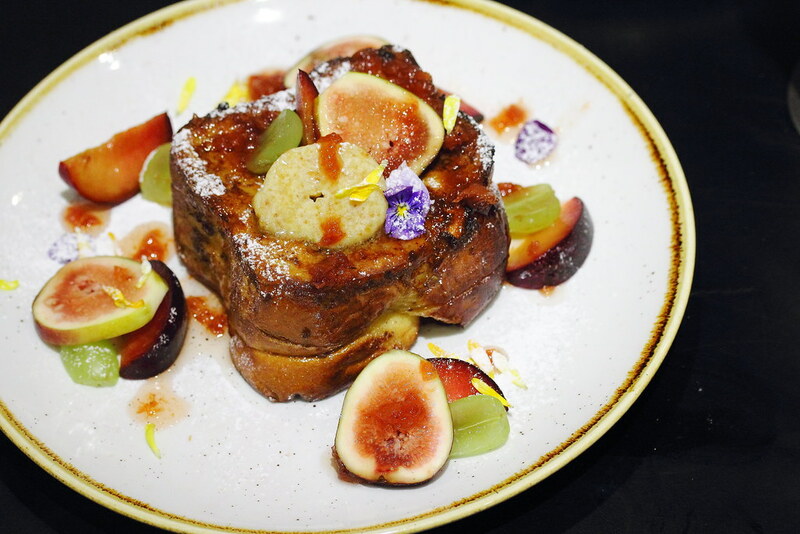 The French toast is stuffed with fig jam and then drizzled with honey that is infused with umeboshi (pickled plum) and topped with homemade hazelnut butter. The slices of figs, plums, green grapes and edible flowers not only make the dish pretty but also helps to balance the sweetness from the fig jam. The menus at Ninja Bowl as per the name suggested or you would have guessed, is Japanese inspired. The delicious bowls come with quality ingredients, healthy and affordable priced below $20. What's more attractive is that they are all nett cost and the restaurant does not have service charge.